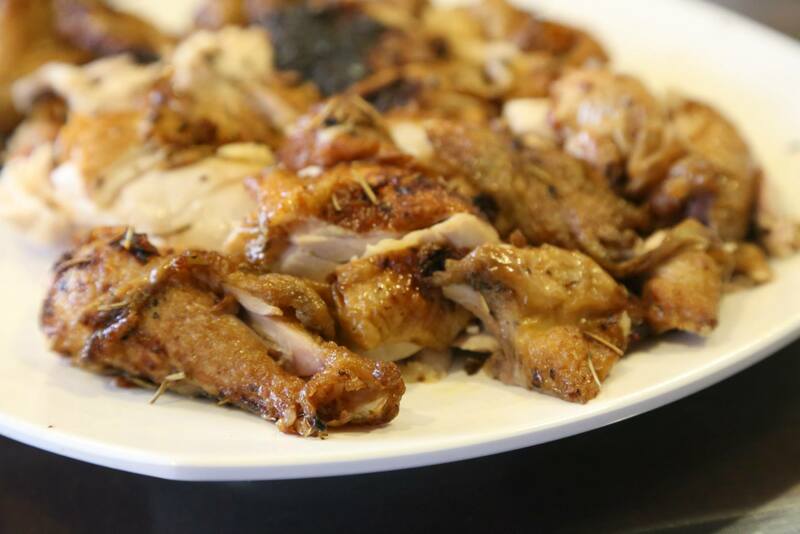 the well documented challenge about roasting whole chicken as c/w pan roasting a breast or hind quarter is that the white meat (breast) & dark meat (muscles in the drumstick) give different doneness. so if the breast is just done the dark meat is underdone with some blood redness & if the dark meat is just done, the breast is dry & overdone. apart from using the beer can recipe which is supposed to steam up & moist the inside of the chicken & also create an all round browning instead of turning the chicken mid-way cooking, i also thought to use the brining method to give more moist & tender meat. also, like my curry chicken noodle version, i exfoliate the chicken skin by rubbing/massaging with salt. i cleaned the chicken & rubbed salt on the skin & inside to exfoliate & make the skin ultra smooth, and washed & cleaned. i then added 1 litre water in a large plastic container, mixed in about 1 tablespoon salt & 3 tablespoon sugar & stirred to dissolve, then poured in 15ml bottled lime juice or squeeze juice from about 2-3 limes. i placed the cleaned whole chicken into the container and placed container in fridge for >24hours. to cook the chicken, i insert the rub of sliced garlic & rosemary under the chicken skin on both breast side & back, rubbed 1 tbsp olive oil over skin to make it crispy, opened a can of beer & removed 1/2 its content. 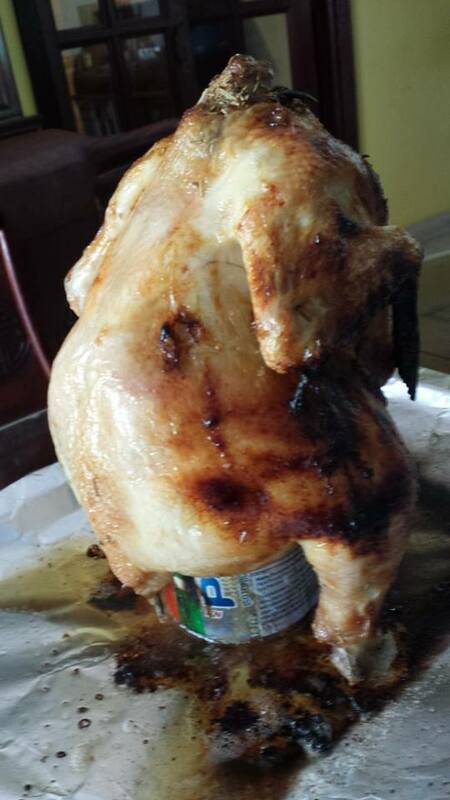 & inserted the 1/2 filled beer can into the lower cavity of the chicken. 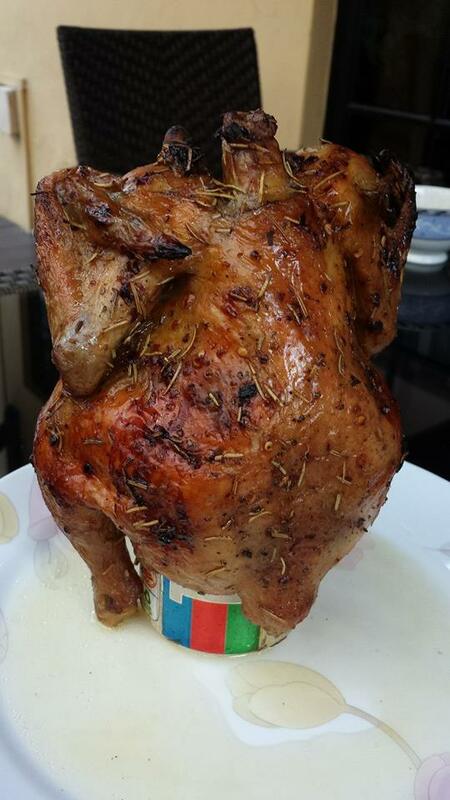 i then placed the chicken standing upright on the beer can on an aluminium foil-lined baking tray & cooked 15mins at 175degC + 25mins in 250degC in a preheated oven. i removed from oven & let the chicken rest, and then deboned & serve. Prepare the chicken – clean the chicken & rub salt on the skin & inside to exfoliate & make the skin ultra smooth, and wash & clean. add 1 litre water in a large plastic container, mix in about 1 tablespoon salt & 3 tablespoon sugar & stir to dissolve, then pour in 30ml bottled lime juice or squeeze juice from about 5 limes. 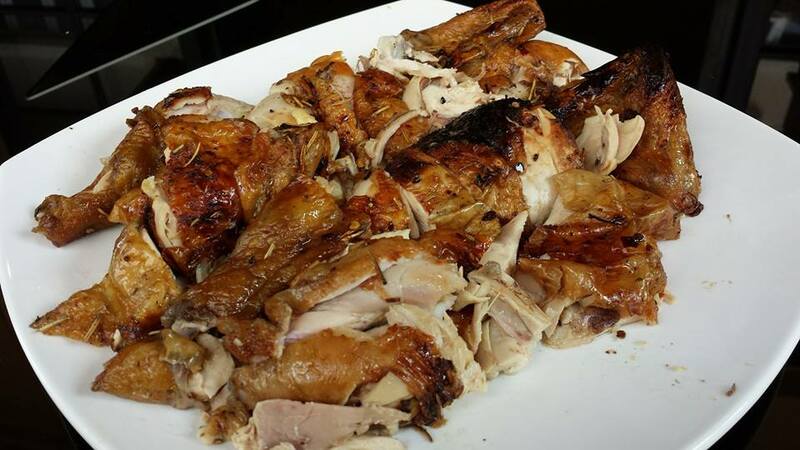 place cleaned whole chicken into the container and place container in fridge for 24hours to 36hours. 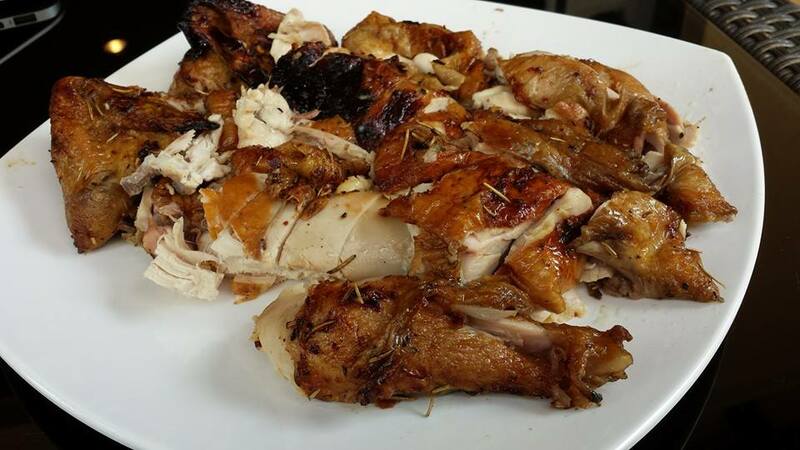 Cook the chicken – insert the rub of sliced garlic & rosemary under the chicken skin on both breast side & back. rub 1 tbsp olive oil over skin to make it crispy,open a can of beer & drink or remove 1/2 of its content. insert the 1/2 filled beer can into the lower cavity of the chicken. place the chicken standing upright on the beer can on an aluminium foil-lined baking tray & cook 15mins at 175degC + 25mins in 250degC in a preheated oven. remove from oven & let the chicken rests, and then debone or carve & serve. 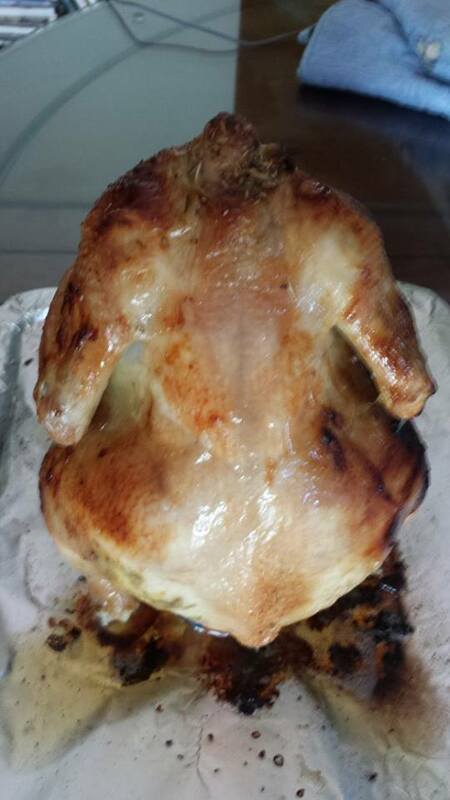 This entry was posted in Recipes and tagged curry chicken, exfoliate, pan roast, roast chicken. Bookmark the permalink.